Kevin Burton (light blue shirt), Assistant Director of the Washington, DC JATC meets with local high school students. Today, the electrical construction industry faces two significant challenges, addressing shortages of skilled crafts labor and assuring that today’s electricians have the in-depth training required to install and maintain increasingly complex electrical systems. The International Brotherhood of Electrical Workers, Local 26 (IBEW) and the Washington, DC Chapter of National Electrical Contractors Association (NECA) working cooperatively through the Joint Apprenticeship Training Committee (JATC), invest over $8 million every year in the Washington, D.C. area preparing the next generation of skilled electricians, and providing experienced electricians with on-going training in the latest construction techniques and technologies. The JATC training programs are supplemented by a variety of outreach efforts at the high school level, where students can learn more about the opportunities and rewards a career as an electrician can provide. These efforts are part of a growing trend of school-to-work programs, in which high schools provide basic technical skills and training for jobs that industries need to fill. For more than ten years the JATC has worked in cooperation with the North Point High School for Science, Technology and Industry in Charles County, MD. It has donated more than $125,000 worth of equipment to its state-of-the-art training facility, including a photovoltaic (PV) array system installed outside of electrical construction classrooms. The JATC also participates in career day at Edison, providing information on its training programs and career opportunities. 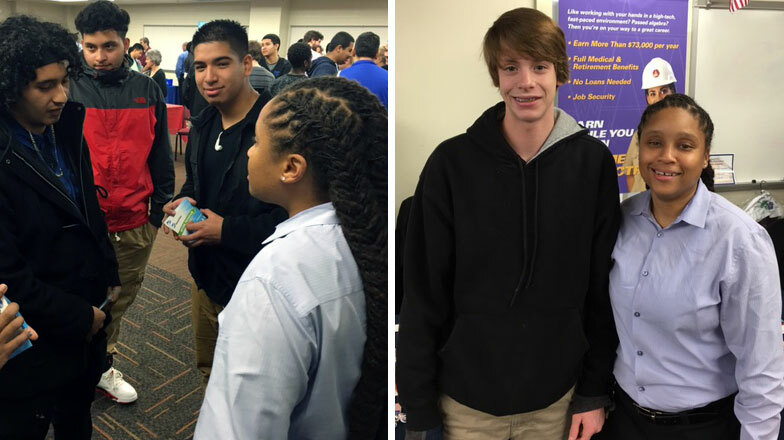 IBEW Local 26 also provides financial support and mentoring to the Chantilly Robotics 612 program, based at the Chantilly Academy inside Chantilly High School in Chantilly, VA. The program combines electrical work, programming, computer aided design, mechanical work, and marketing. Since its inception, Chantilly Robotics 612 has won 17 awards. “Outreach programs at the high school level, like these, offer a gateway into the JATC’s training programs. 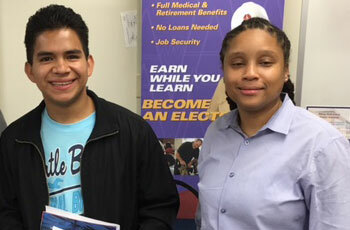 These outreach efforts have resulted in a number of students entering the apprenticeship. People admitted into our programs are well on their way to high paying careers in a growing construction field and are helping to assure an adequate supply of skilled workers in the future,” said Andrew Porter, Executive Director of the Washington, DC Chapter of NECA. To learn more about the JATC, visit www.getchargedup.org.